Buying to let can offer canny investors a wealth of rewards but there are also a lot of risks and headaches involved, particularly when the property market is on the turn. Up until relatively recently, buying to let was a fairly good bet as a solid long term investment. Investors with spare cash could take advantage of the UK housing boom by investing in a second or third property, set a rent that would cover mortgage payments and any extra maintenance costs, and find themselves that once the mortgage was paid off they were the proud owners of their own property to do with what they liked. Those who got in early would have seen incredible returns on their initial investment. Between 2000 and 2007, the average property price has increased from £66,000 to almost £180,000. However, 2008 saw the market buckle in the grip of an economic crisis, and which left many landlords faced with financial disarray caused by price falls and interest rate rises. Those particularly hard hit were the latecomer investors who had taken advantage of the minimal property deposits and huge loan availability that had been on offer during the buy to let boom. Even more so those then lured by city centre new-builds that never found their wealthy target tenants. The Guardian reported a story in February 2008 of a Sussex vet who was convinced by a property seminar company that she would make a fortune by investing in new-builds. She promptly bought up seven properties only for the property bubble to burst. Now she is facing losses totalling around £350,000. Those landlords who have been left unable to afford their properties but unable to offload them have found themselves being repossessed. Foolish to Invest in Buying to Let? With fast rising interest rates taking an increasing toll on potential profits – one interest-only tracker mortgage of £150,000 left owners faced with repayment increases of £1,500 over 12 months - is investing in the buy to let market now only a fool’s game? The consensus advice from property experts is that unless you know exactly what you’re doing, it’s best to steer of buy-to-lets until the market picks up speed again. At present it is a very stressful time to be a landlord. With interest rates increasing, what money is to be made is difficult to come by and requires a lot of patience, due care and property know-how. It’s not simply a case of sitting back and watching the money roll in, it’s a long-term investment. What’s more, being a landlord in good or bad times is not always easy. Tenants and letting agencies can cause a wealth of unexpected headaches, both financial and time demanding. The property itself can start to backfire and run up maintenance costs. Such problems can magnify if your home is a good distance away from your buy-to-let property. Don’t be tempted by a huge mortgage and make sure you are not over-stretching yourself in paying it back. Choose a property that is close to home so you have good local knowledge on your side and you’re also on hand if there are any problems. Choose a property that is well-built and doesn’t require any major maintenance. Don’t be lured by prettiness. Also make sure it has good public transport links. Price the property to pay the mortgage. If you’re pushing for big gains then you will fail. 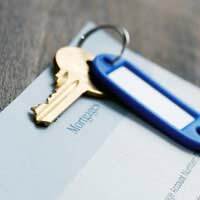 Make sure you fully understand how buy-to-let mortgages operate. Give yourself a financial cushion if things don’t go according to plan, such as if you don’t have a tenant for months and have to pay the mortgage yourself.